I’ll start with be summary BenPhegan posted to a thread I started on NuGet CodePlex site. Developers are historically used to having a local common library location for all their binary dependencies (ie all hintpaths reference “d:\common” or something similar). Often this library is controlled centrally and xcopy/robocopied to all developers machines to provide commonality of build capability, generally the central copy come from a CI build system. There are a lot of different projects that a developer works on with a lot of dependencies, and it is seen as efficient to have a single copy of these dependencies on disk. Project files are included from multiple solutions at arbitrary locations on disk, resulting in mismatched relative hintpaths when using NuGet. The problem (not the only one) with shared packages directory is that every project that ever loaded a NuGet package creates a record in repositories.config file. You end up with this file containing lots of these. Also some packages directories might get deleted when a package is removed. But then I thought about it and got the idea that I can make repositories.config file local to a solution, i.e. put it in solution scope. And the best place to put NuGet specific file is the .nuget directory. The entries in config file are added with path relative to solution folder. Now there’s one repositories.config file for every solution containing the records for every available packages.config. Package files in shared directory can be still deleted when the package in repository is no longer needed (this feature can be turned off and shared repository must be cleared manually). Vote for it on NuGet! I tried to avoid big changes in NuGet codebase and I was slowly getting to understand how NuGet internals works. Next step was to force NuGet to use the shared packages repository. I changed some classes (get the settings from registry) to find out the only thing I have to do was to add a node to C:\Users\(your name)\AppData\Roaming\NuGet\NuGet.config configuration file. Don’t forget to remove any repositoryPath from a Nuget.config file under your solution directory if you have one. The branch and changset details can be viewed on CodePlex here. The description of how to build (locally and CI) a solution with project(s) referencing assemblies in a shared local directory will follow. When I was working on a NuGet package I noticed that some DLLs (that were not supposed to be placed there) were copied into the content subdirectory of the package. Issue: Assembly outside lib folder. Description: The assembly 'content\lib\Microsoft.Practices.EnterpriseLibrary.Common.dll' is not inside the 'lib' folder and hence it won't be added as reference when the package is installed into a project. Solution: Move it into the 'lib' folder if it should be referenced. It took me some time to figure out that NuGet copies all project items with BuildType set to Content to content directory in package. Problem was solved by changing BuildType to None. Recently I created a NuGet package that has a little bit complicated install.ps1 script. The package did not add any references to project, but imported a .targets file. In case you don’t want to rebuild the package whenever you have fixed an error in PowerShell script, you have to have solution with 2 or more projects. You will have to install the package to 2 (or more) projects. When you spot the error just fix the install.ps1 file located in the directory where package was created (usually `packages\Package.version\tools\install.ps1′). Then just reinstall the package in one of yours projects. Because the package is now used in 2 or more projects it is not uninstalled and its directory is not removed. when Uninstall-Package is invoked. 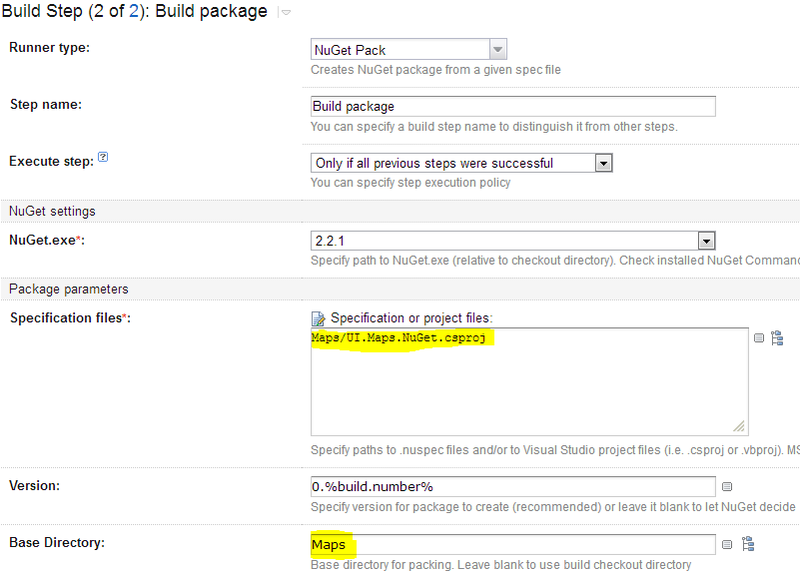 On Install-Package NuGet finds out that it is already installed in packages directory and gets the files from there. Note that this will work only for files in package that are used by NuGet package manager without redeploying, like PowerShell scripts, text files, etc.